Held annually in February, Roll up the Rim to Win is Tim Hortons (another one of our favourite Canadian things) biggest marketing campaign nationwide. The premise is simple; buy an eligible size of coffee, hot chocolate, tea, etc and when you’re done drinking it, roll up the paper rim to reveal if you’ve won a prize or not. The concept was introduced to Tim Hortons in 1985 when Lily Cup (their paper cup supplier) approached them with a new design that allowed messages to be printed under the rim of their cups. 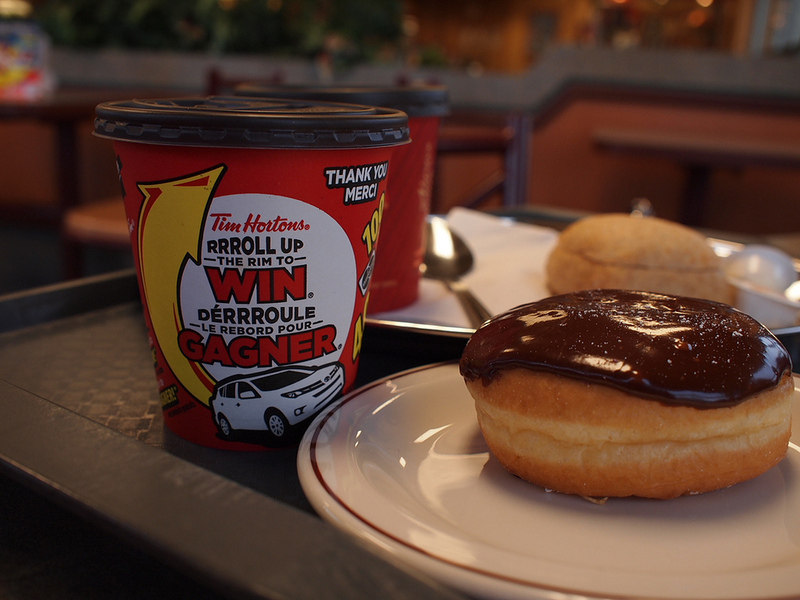 Tim Hortons jumped at the chance to boost spring time sales and launched the contest in 1986. Initially the prizes were just in store goods, but since have increased to new cars, televisions, gift cards and of course staying true to their roots, coffee and baked goods. 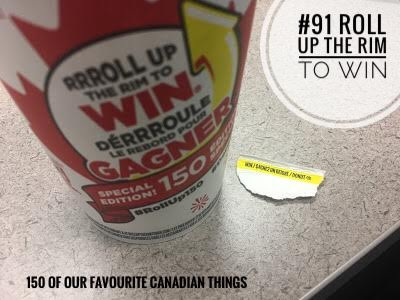 Roll up the Rim to Win is not without its drama though. There was a heated legal battle between two families over who the rightful winner of a Toyata Rav 4 was. Long story short; 10 year old girl finds cup in trash and asks 12 year old girl to roll the rim for her. Toyota Rav 4 is the prize, families fight for who the winner is and a lawyer comes out of nowhere and says DNA test for who actually drank the beverage. The prize was eventually awarded to the family of the girl who found the cup. Another issue popped up in 2015 when Tim Hortons added pin codes to winning cups. Winners were disappointed after tearing off the prize tab and being denied the prize because they were missing the pin code. Advice: if you roll up a winner, just keep the whole cup. Canada 150 Roll up the Rim to Win cup from Tim Hortons with a donut prize! Tim Hortons is running a special edition of Roll Up The Rim for Canada’s 150th birthday this year. So be sure to head out to your local Tim’s and grab a cup of Joe to enjoy while reading more of our 150 favourite Canadian things.